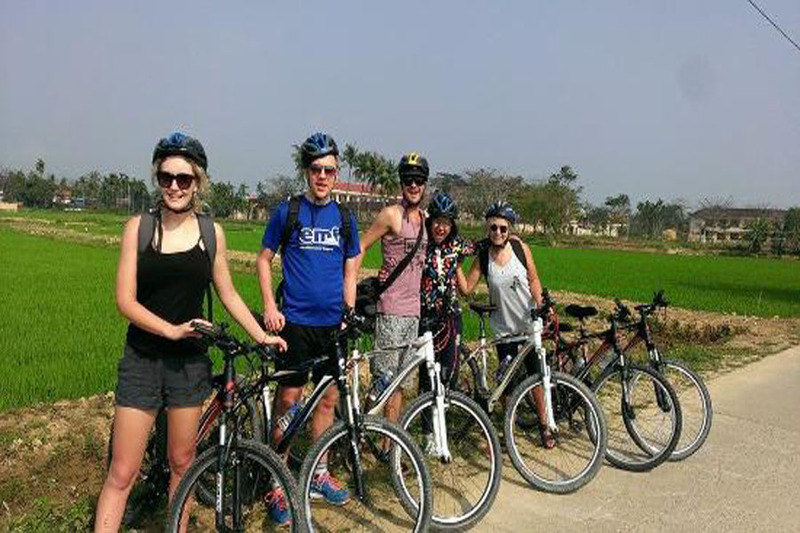 To begin with, in the morning the guide will come and meet you up at the hotel in Hoi An areas and we start hoi an biking tour. 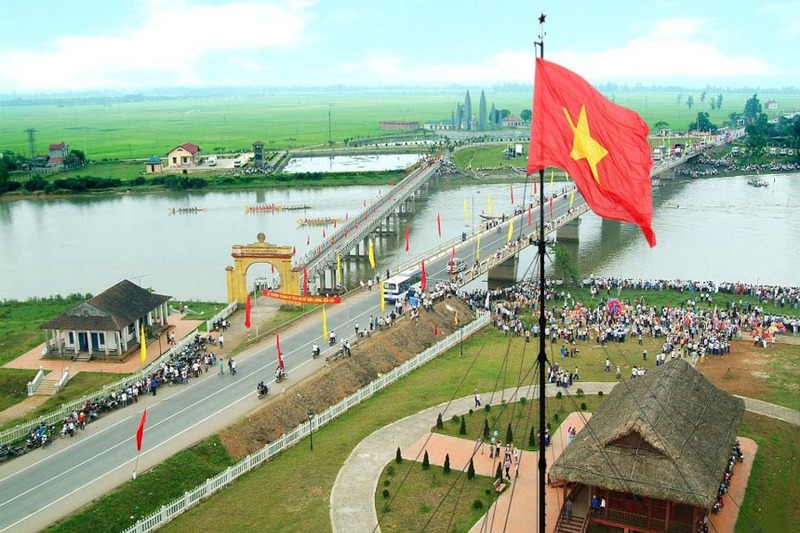 So, we will commence the day leisurely cycling along country roads witnessing local Vietnamese rural life first hand. After that, we will then cycle to Tra Que organic vegetables village. On arrival at this village, we will stroll around this lovely, green village to know many kinds of herbs over here: coriander, basil, lettuce, spring onion, cabbage, mints…Besides, you may come across meeting a farmer then chat with him to know about their daily life and have intimate exposure to the local farming of Hoi An people. This little rustic village is also a really place for photo opportunities, you also get a chance to know how the local people watering and planting vegetables, and hoeing soil with local farmer. Although the farmers are working very hard but they are always friendly and smiling. 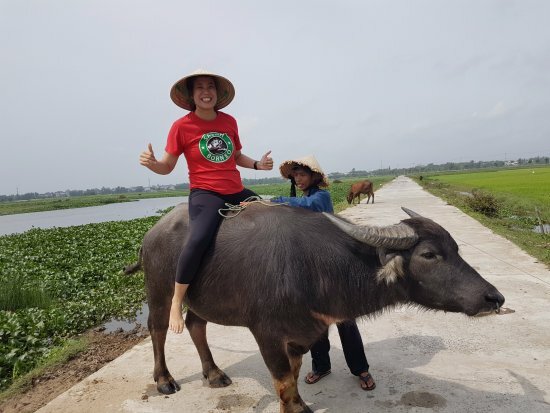 Next, we keep cycling through rice paddy fields and have a short stop for photos of water buffaloes and you may try to have a buffalo ride into water. You will absolutely have a big fun out there. Following the tour, we cycle along small village lanes and might see ducks swimming along the rice farm or farmers tending their crops. Then the photo opportunities are endless. 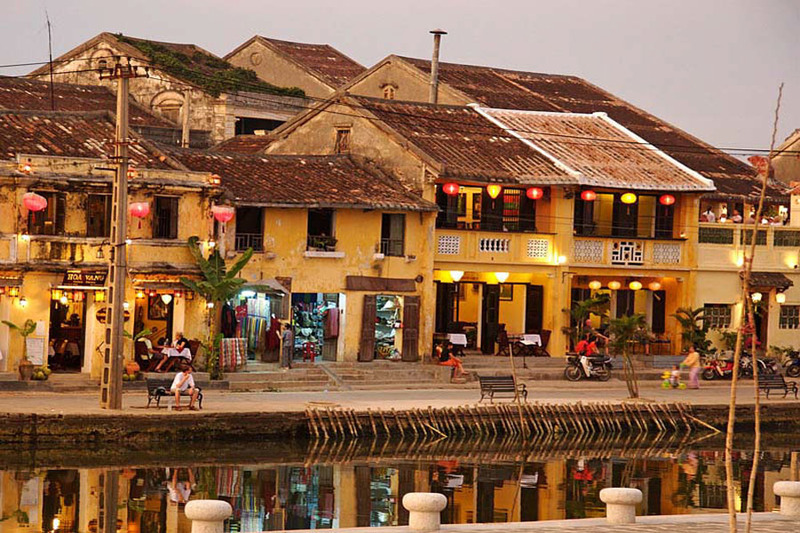 And now you know why Hoi An has many things to discover. Afterwards, our biking tour goes on by a short stop at a Blacksmith factory to see the anvils are working hard to sharpen some knives, bush hooks, and some argicultural equipmets. Next, we keep biking back to Hoi An then take small wooden boat across Thu Bon river to reach Cam Kim island. At arriving, we will cycle around this lovely village and pay a visit to mattress weaving family business. It is so nice to interact with the host to know how they maintain their job from the ancestors. And how can weave and color threads and dykes them to have such colorful patterns. Of course, you also try it on your own. Later on, we will be heading to a round boat making family where there is the man is doing his job with great skills. Furthemore, we then pass by some wood factories and visit a shipyard factory and know material they use to fill the gap for water proof. Eventually, we pass by a rice noodles making family business to find out how they make one of Hoi An’s specialties. From graining rice to have rice flower mixture then stiring and pouring it on silk cloth to steam it up will take a while to make it. 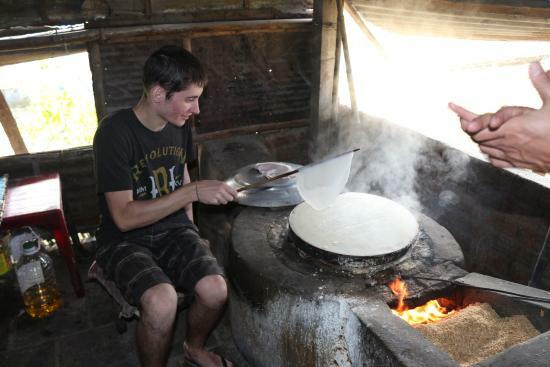 The process will take some steps and it is enjoyable to know how they use rice husk for cooking as well. Lastly, we can have some rice crackers to taste flavor of rice crackers before we are biking back to Hoi An. 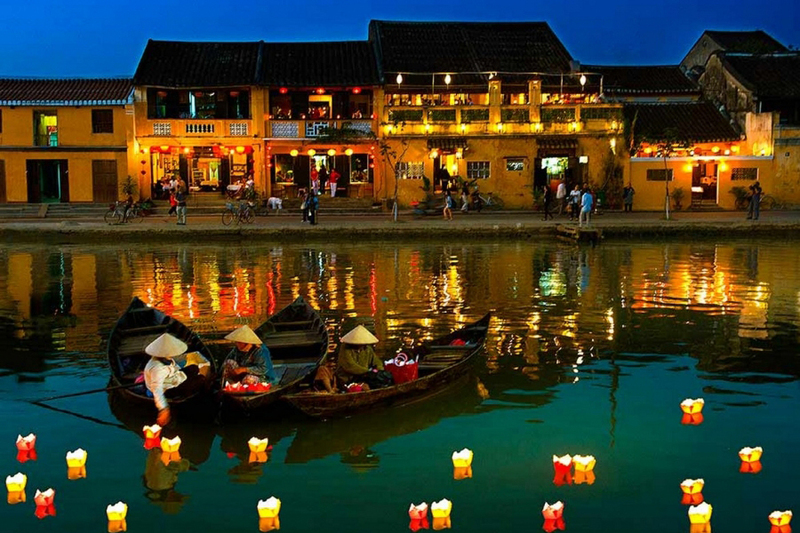 Then hoi an biking tour will finish here. 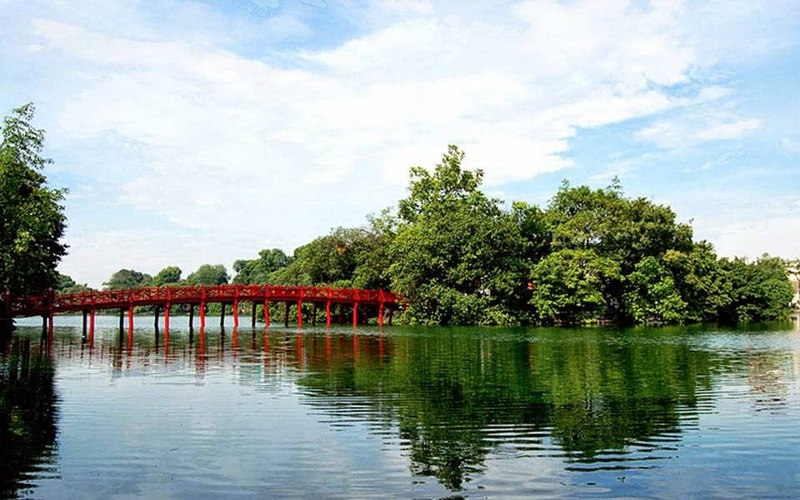 How interesting Hoi An Biking Tour is? 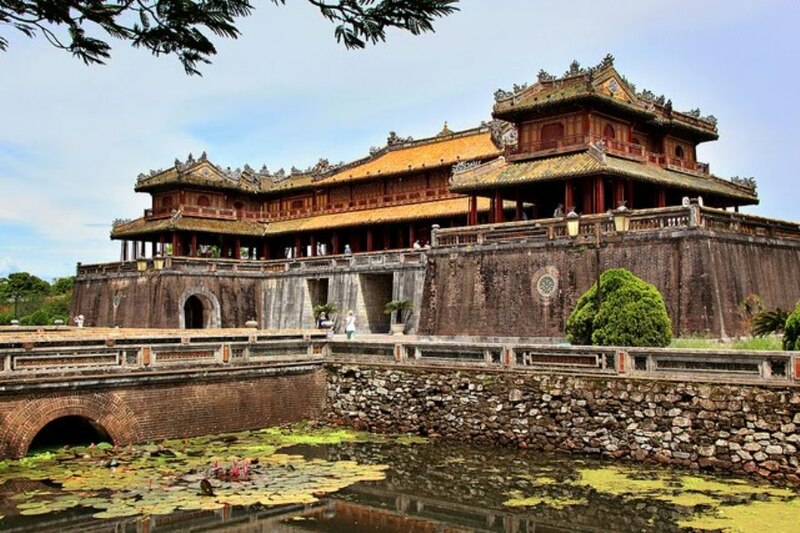 Firstly, participating in this tour, you have many chances to directly chat with the local people in Hoi An to know their culture, daily life. By the way, you know how could they preserve their traditional jobs after so many years. 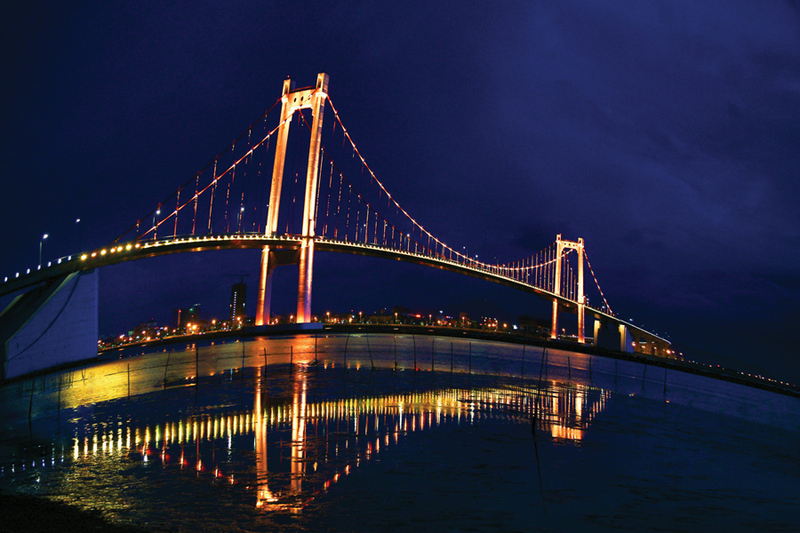 Besides, we will avoid traffic roads and choose some unbeaten paths for you. 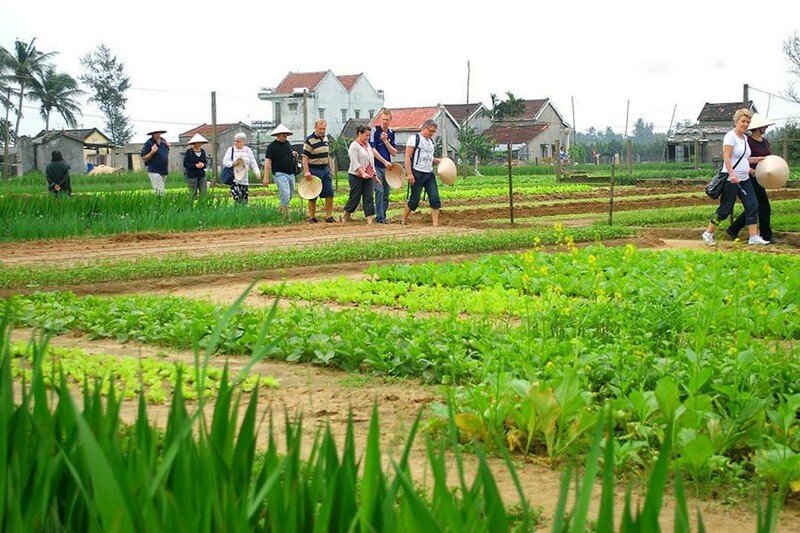 So, it is an amazing experience and great time to take lots of photos of rural areas. 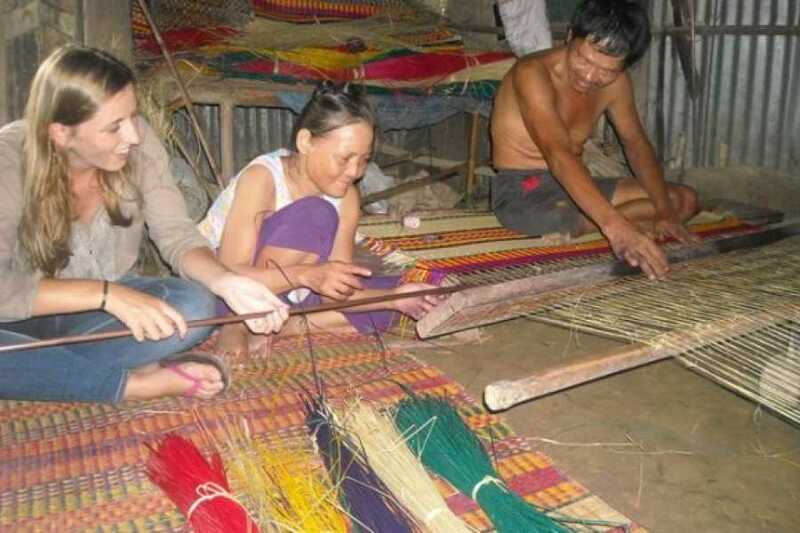 Moreover, crossing the Thu Bon river and visit some family businesses in weaving sleeping mats, making round boat or making rice noodles will be an outstanding experience as well. 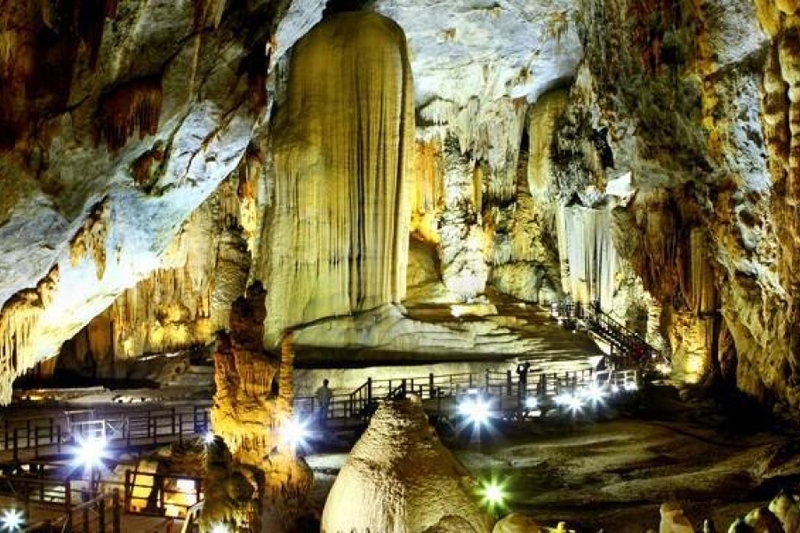 The tour is conducted in a nice, pleasant day; we will NOT organise the tour in case of bad weather such as strong heavy rain, typhoons, storms, flooding. We advise you to start in the morning and book the tour 24h in advance for us to process the booking.